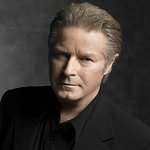 Oceana and the Walden Woods Project present Rock Under The Stars with Don Henley and Friends next week. Oceana, the largest international advocacy organization focused solely on ocean conservation, and The Walden Woods Project, preserving the iconic landscape that inspired Henry David Thoreau, father of the modern conservation movement; utilizing Thoreau’s land and literature to foster the next generation of environmental stewards. These two organizations will co-host an intimate concert featuring a performance by Grammy Award winning artist Don Henley (Founder of the Walden Woods Project), at a Private Residence in the Hollywood Hills. Henley will be joined by his 15-member band. 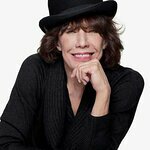 Confirmed guests include Jane Fonda, Lily Tomlin, Kristen Bell, Ted Danson, Sam Waterston, Dylan McDermott, Maggie Q, Faye Dunaway, Melanie Griffith, Bill Murray, Mira Sorvino, Dean Norris, Jeff Goldblum, Charlie Day. Additional attendees TBA.